If you a working and breastfeeding mom, you deal first hand with separation anxiety in children. Here are tips to make keep your child feeling happy and secure. 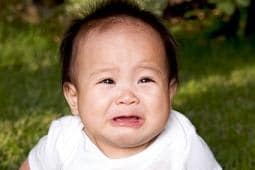 Why Does This Toddler Separation Anxiety Happen? Moms, after your child turns 6 months old, he or she heads into the toddler stage. You will notice changes in how they play, eat, and sleep. But what will not be gone is the separation anxiety they had when they were younger. That will still be there and in some ways more so. Part of the reason that this separation anxiety in children happens is that our toddlers have no sense of time. They don’t know if mom has been gone for 1 minute, an hour, or a day. Another reason is that we are our toddler’s whole world. Until their world gets bigger and more involved that is how it is. Have you ever gone from the living room to the kitchen and had your toddler run after you crying? I know it has happened to me with my toddlers. My toddlers cling for their life when I just want to go to the bathroom for a few minutes! Bedtime is still that hardest for us moms to deal with the separation anxiety in children. Very few toddlers actually want to go to bed they would rather stay up and play. They can even drive you nuts at bedtime wanting to stay up. What is even a harder time though is when you drop them off at daycare in the morning. The daycare workers have to help you practically pry the toddler off you. Then you start your day thoroughly shook up. Sound familiar? I sure have gone through these days! Now moms take comfort in the fact that your toddlers will get over this anxiety. I can hear your sigh of relief from here. You’ll see that by the age of about 1 ½ to 2 ½ years old. By his third birthday, he should be totally beyond these feelings of separation anxiety. But the problem you are having is a real one and you may need some ideas how to wade through this hectic time. Well, here are some of the things that I’ve done with my toddlers to relieve their anxiety. Don’t ever go in a room without them knowing you have left them. Tell them when you are leaving the room and that you’ll be back soon. Maybe even talk to him as you are going room to room so that he can hear your voice. At bedtime, try to make it a fun time. Spend some time reading to or playing with your toddler before putting them down to go to bed. And moms, don’t just scamper out of the room quickly. Lay down and breastfeed your child to allow for peaceful time together. Some toddlers will go right to sleep this way. Plan your nights out so that you can spend some extra face time with your toddler. Playing with him a bit before you leave. When the babysitter shows up have them hold your toddler until you are out the door. This will lessen what anxiety he feels. At daycare, make sure one of the workers is close to him as you leave him. Also explain that you will be back to get him when you have finished your workday or other errands. Make sure not to extend the day by doing other things when you are done before picking him up. It does not hurt for your toddler to have a security toy or blanket to help him through all these anxious moments. This object will help soothe him and make feel less anxious. Make sure you stay calm while your toddler is feeling anxious. If you lose it or start tearing up this will just make the toddler have more anxiety. If you’re just beginning to leave your child, start with short outings. And then each time, lengthen the time until your toddler feels more secure. Don’t wean your breastfeeding child too early. Even if you only breastfeeding in the morning and evening, these special times together not only nourish your child, but will make him feel closer to you and well loved. Years down the road, I am sure that us mothers will look back and laugh at these years of separation anxiety. When our toddlers are teens and they are trying to get away from us on purpose we will just have to laugh!